Raamdeo Agrawal, joint managing director of leading brokerage firm Motilal Oswal (MOSL) is back with the 21st wealth creation study report (2011-2016). This wealth creation study report gives information about top wealth creator and wealth destroyer stocks of last ten years. 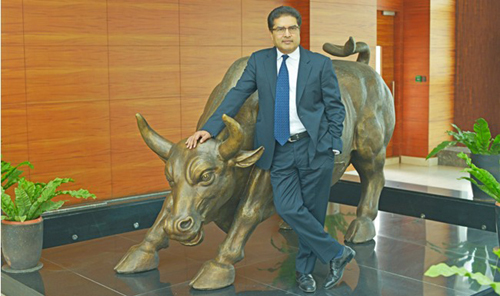 In all past 20 wealth creation studies, Raamdeo Agrawal has focused on what to buy? However, in 21st wealth creation report, he is also sharing information about how much to buy? Learning from the wealth creation report of Raamdeo Agrawal is given below. How to make money from stock market? Follow the steps given below in order to make decent money from the stock market. The first step towards making money from the stock is set the goal for the investment and expected return. To simplified the concept Raamdeo Agrawal says when you plan to travel you decide destination where to go? Like Mumbai, Ahmadabad or somewhere else. Once your destination is decided you decide a mode of travel like a train, car, bus, or by plane. Your mode of travel decides the time for reaching a destination. Similarly in the stock market to earn a decent return (destination) it is important to select a right stock at right time (mode of travel). The second step is a selection of stock. You must agree with Raamdeo Agrawal that a decent return can be given only by the company with the tiger concept (long term business opportunity) and tiger management available at a reasonable valuation. So, your task is to find out a company with the longevity of business and tiger management. Raamdeo Agrawal gave an example of Pradhan Mantri Awas Yojana (housing for all by 2022 scheme). This scheme will bring a lot of business opportunity for housing finance and mortgage companies. So, you need to identify which company will gain maximum benefit from this scheme and likely to be become a leader in this market. In order to find out the leader, you need to look at the management of the company. The management of the company should have a competency, integrity, and passion towards business. Once you identify right stock for the investment you should maximize the opportunity. Follow George Soros -“It is not important that how many times you win you may lose many more times but when you win how big you win?” When you have a tremendous conviction on a stock invest maximum amount. The wealth creation report says that you should look at focused investment strategy and create a portfolio of only 10-15 stocks. Using a hypothetical example of 10 stocks, it explains how allocation could influence the performance of a portfolio. If funds allocated in different proportion return could be maximum or minimum. Focused investing gives very good results. Rakesh Jhunjhunwala made it big because of focused investing in Titan, CRISIL and Lupin Stocks. A biggest, fastest and most consistent wealth creator stocks as per 21st wealth creation report are given below. Once you make the investment it is important to monitor your portfolio at a regular interval. It is suggested that you should monitor your portfolio quarterly. Make sure that your portfolio is giving you desired results or not make appropriate changes if required. Hope concept mention above will help you in making money from the stock market.